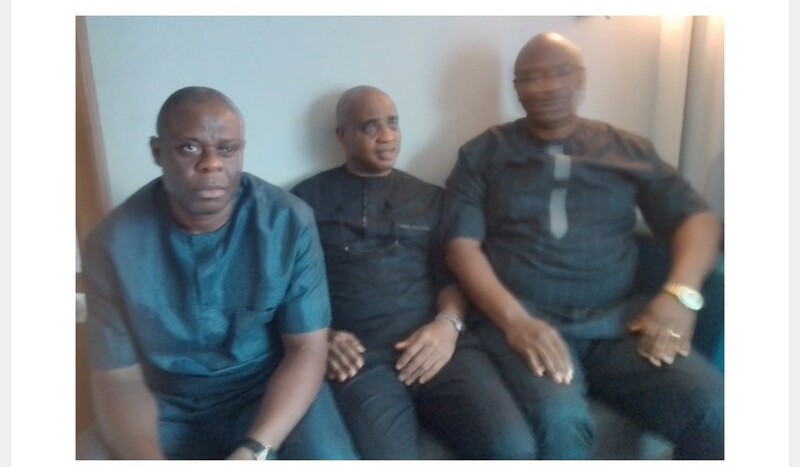 All Progressives Congress (APC) in Rivers state, Mr. Chikordi Dike, Alex Wele and Dr. Lawrence Chukwu on Monday said they are still traumatized nine days after they were abducted by hoodlums allegedly sponsored by Governor Nyesom Wike at ObioAkpor Collation Centre during the March 9 governorship elections in the state. The victims who acted as the party agents of African Action Congress (AAC), following the adoption of the candidates of AAC for the elections alleged that they were whisked away by thugs into the Governor’s vehicle at about 11:00pm on Saturday after the Governor allegedly invaded the centre with about 200 thugs. Narrating the ordeals to journalists in Port-Harcourt on Monday, one of the victims, Chikordi Dike, said that some of the hoodlums were dressed in fake military and police uniforms while some were dressed in a black T. Shirt with inscription, “Neighbourhood Safety Watch”. He said, “APC did not have candidates for the elections; so we were collation agents for AAC in Obio/Akpor Local Council because our party, APC, adopted it. “While we were in the council between 11pm to 12am, suddenly, Governor Wike came in with over 200 persons fully armed and some with police and military wears. Dike argued that no collation took place at Obio/Akpor centre, adding that the Electoral Officer was seized inside the Local Council Chairman’s office, Solomon Eke, when the incident happened and that she was also taken away by the hoodlums thereafter. Also speaking, Chukwu alleged that electoral materials were also carted by the men that arrived with Governor Wike before the elections were suspended. He stated that collations of results did not take place at the Obio/Akpor Council and called on the INEC to discountenance claims by anyone that elections were collated at the council. On his part, Alex Wele, said, he was attacked and manhandled by the hoodlums, insisting that they were not allowed access to the Local Council’s Chairman’s office where the Electoral Officer was kept until she was whisked away. Reacting to the allegation, the state Commissioner for Information and Communication, Emma Okah, described the APC stalwarts as clowns. He said no such incident happened. “The APC and their ally AAC failed in the election. They are doing everything possible to divert attention from their shameful failure. Why would anybody abduct them? Of what use is their adoption? To gain what? They should bury their head in shame that they were moving with soldiers to thwart the wishes of their people,” he said.